If you haven’t started following Pat and Ali Schulte’s blog on our sister site, Sailfeed.com, you’re missing out on the following: intimate details of the day-to-day of circumnavigating with young kids, adorable snapshots of said kids, lessons learned when fixing a boat in a foreign country and the distinct sense of pleasure that comes with dictating the terms of your own life. Many of us think about doing what Pat and Ali did almost a decade ago (selling our home, quitting our jobs and setting sail for destinations unknown), but few do. Since their maiden voyage in 2003, this couple has circumnavigated on a catamaran— which they did not know how to sail at the time of purchase—toured Europe from the seats of a custom-designed VW bus and are now back on blue in a monohull with a 2-year-old and an 8-month-old exploring Mexico. 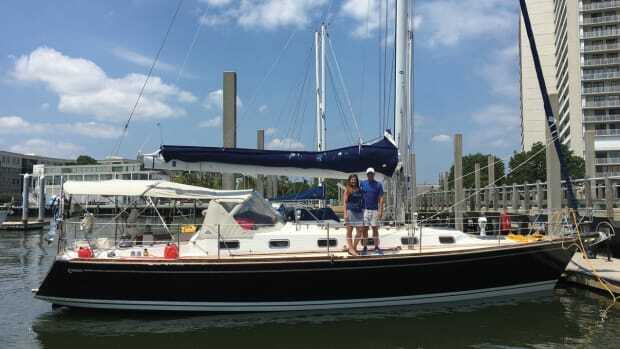 The Schultes are just one pair of bloggers on SAIL’s newest family member, Sailfeed. There are six other bloggers, who you can learn about here. Let’s start by getting to know Pat and Ali through a short e-mail conversation that took place between a chilly office in Boston and a sun washed boat in Mexico. SAIL: When you first decided to circumnavigate, before the kids, you were 28 and didn’t know how to sail. If you had to go back to that pivotal moment, to the day you somewhat impulsively bought a catamaran, would you do anything differently? Pat & Ali: Honestly, not a thing. Our lives are so different now, soooooooo different, and we couldn&apos;t be happier with the course that that one fateful decision set us on. Had we not made the impulsive decision to sail around the world I expect we wouldn&apos;t have done too much outside the box with our lives. We&apos;d probably have a nice pile of money in the bank, a fancy set of golf clubs sitting in the back of our fancier still SUV, a couple thousand square feet more house than we need, and all the rest of the nonsense that we now couldn&apos;t care less about. Instead we decided over too many beers to sail around the world, didn&apos;t bother to learn how to sail a boat, bought a boat after searching for four hours and left. And you know what? It worked out just fine. SAIL: After you sold your every possession, including your condo, how did it feel setting sail for the first time? Pat & Ali: It was exciting. It almost felt like we were doing something we weren&apos;t supposed to be doing, as if we were sneaking our parent&apos;s car out of the garage before we got our driver&apos;s license. It took us one failed attempt at crossing the Gulf Stream before we got across to the Bahamas, but once there we had the world&apos;s greatest beginner slope for sailors all to ourselves. Really the Bahamas are a fantastic place to teach yourself a bit about sailing your boat. Soft sandy bottoms and short distances between awesome anchorages. SAIL: As you well know by now, sailing means fixing. 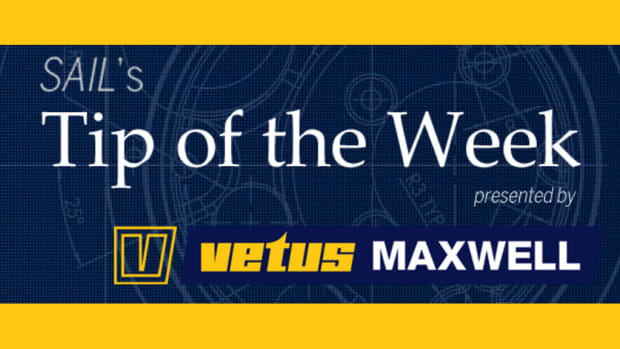 How much of your time do you estimate you spend fixing stuff on the boat? Pat & Ali: These days, after buying a 1982 Spindrift sight unseen, we seem to find ourselves spending a lot of time on repairs. But fixing the boat isn&apos;t even the most time consuming part, it&apos;s the trips to the stores to gather the bits and pieces necessary to make the fix. I&apos;d say we spend three hours a week fixing the boat. And that number could easily be triple that if we didn&apos;t have two young kids vying for our attention 24 hours a day. As it is our projects often tend to get jury-rigged or only half completed. SAIL: You also spent quite awhile traveling by VW bus. Why the switch? Pat & Ali: We were sailing through the Med when we decided that we wouldn&apos;t be going back to work when we completed our circumnavigation but would instead travel by land. 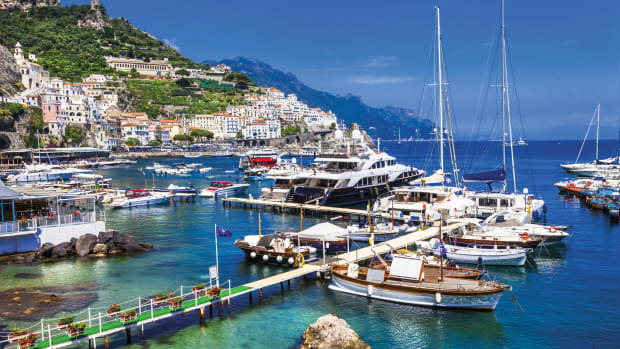 We felt like we just couldn&apos;t see enough of Europe on a boat and it was time to get inland. During our sailing years we&apos;ve always spent a lot of time renting cars and taking buses to places away from the coast. We found that often a country&apos;s true character isn&apos;t anything like what you find along the coast. 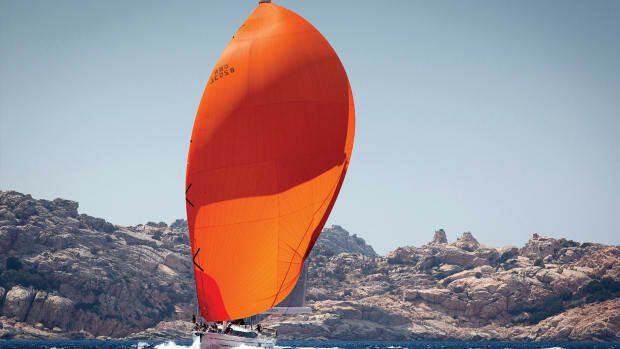 SAIL: When you came back to boating, it was on a monohull. Why, with the kids, didn’t you opt for another cat? Pat & Ali: Number one answer, money. Our current beast of a 43-footer cost us just $48,000. 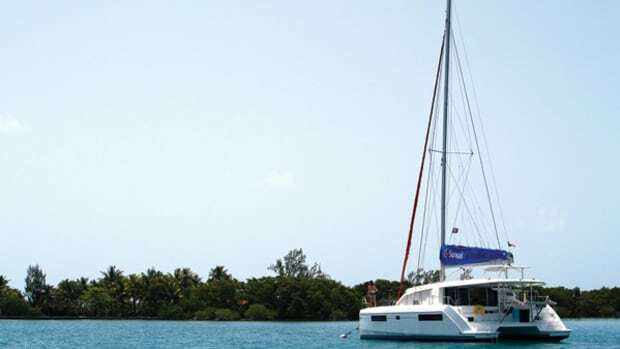 Our flimsy plastic 35-foot catamaran cost $157,000. After all these years of living a vagabond&apos;s existence, we figured an extra $100,000 could go a long way toward keeping us out here enjoying the good life through at least our kid&apos;s formative years. 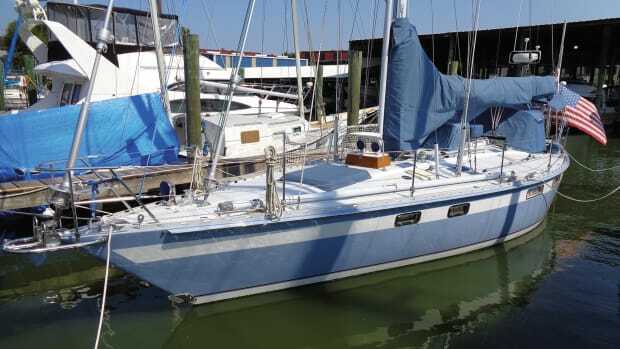 And truthfully, what we&apos;ve found is that all the worrying that people do about what type of boat they want, or "need," is forgotten about the moment they set sail and put the anchor down in some new place. When you&apos;re dreaming of this lifestyle you can&apos;t see beyond the boat, but once you are out here it doesn&apos;t matter nearly as much.  SAIL: How long have you been on the boat now, since you started out on your current voyage? Pat & Ali: We bought this boat when our daughter was 7 months old. Just about two years have gone by now, we&apos;ve sailed it from San Francisco to Mexico, and added a now 8-month-old boy to the mix. SAIL: What do you think has been the most challenging thing on the boat? Kids? Pat & Ali: Definitely kids. We look back now and laugh that we ever thought sailing with just the two of us was difficult at all. Kids are a handful even in a home in the suburbs, but throw the combination of a tiny living space surrounded by water into the mix and it is infinitely more challenging. We keep telling ourselves it is all worth it though, and most days we even believe ourselves. The time we get to spend with them growing up and the memories we are making will always be uniquely ours. 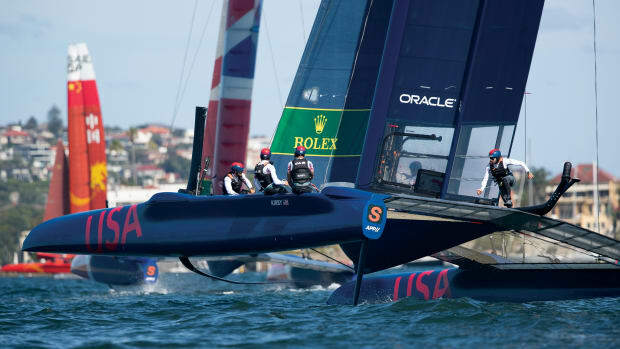 SAIL: What’s one of the coolest things you’ve seen during your time abroad? Pat & Ali: Different cultures. Not the answer this question was looking for, I know, but really just being out in the midst of cultures so vastly different from the one in which we grew up in is the coolest thing about cruising. Ali and I get painfully bored in the States now. It&apos;s too easy. We enjoy the challenges that our life holds for us on a daily basis now much more than we enjoyed being a spoke in the wheel back in the States. SAIL: Do you have a plan for ending the journey? Pat & Ali: No. We don&apos;t really plan like that. I expect it will just happen one day. We&apos;ll wake up and say, "OK, that&apos;s it, what should we do now?" Or maybe we won&apos;t, who knows? SAIL: If you could give one piece of advice to a family about to embark on a few years at sea, what would it be? Pat & Ali: My one piece of advice for all cruisers is this: "Stop taking advice, and stop giving advice." Sounds kind of rude when I type it out, but seriously, cruisers take this stuff way too seriously. Stop worrying, go out and cruise however you see fit, and everything will work out just fine in the end. You won&apos;t sink your boat, you won&apos;t end up on a life raft in the middle of the Pacific for 50 days, you won&apos;t... None of the stuff you are worrying about before setting out is going to matter in the long run, so just go out and have fun. Read Pat & Ali&apos;s blog on Sailfeed!